Convert KMZ to GPX with just two clicks in ExpertGPS. Now you can download Google Earth KMZ to your GPS and convert Google Earth places and routes to waypoints and tracks on your GPS receiver. You can copy KML placemarks from your My Places folder in Google Earth and paste them directly into ExpertGPS. Converting KMZ files to GPX is an easy, 2-step process in ExpertGPS mapping software. 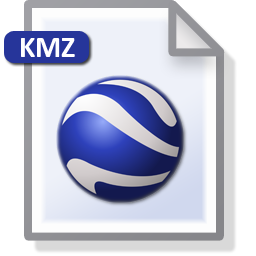 Open any KMZ file in ExpertGPS by clicking Import on the File menu. 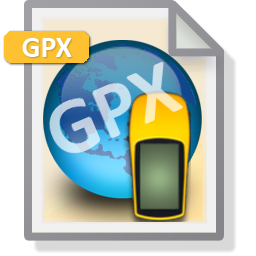 Click Save on the File menu to save your data in GPX format. ExpertGPS uses GPX as its native format, and outputs 100% compatible GPX files that work with any GPS receiver from Garmin, Magellan, Lowrance or other GPS manufacturer. ExpertGPS was written by TopoGrafix, the maintainers of the GPX File Format Standard, so you know you're getting a proven KMZ to GPX converter. Of course, ExpertGPS can also convert GPS data and GPX files back to KML, as well as handle all of your other data file format conversion needs. Unlike other KMZ to GPX converters that can't upload and download your GPS data, ExpertGPS is a complete solution that will download KMZ files to your GPS receiver in two easy steps. And ExpertGPS does a much better job converting your GPX data back to KML, because ExpertGPS creates custom KML files for each GPS receiver, so the KML placemarks in Google Earth have the exact same symbols as the waypoints did on your GPS receiver.